A two loop Campground is located off of the main road past the Discovery Center on the southwest end of the park. Campers must arrive prior to 6 pm before the park closes. Camping fees are $25.00 per night, payable with cash, Visa or Mastercard at the Contact Station or in cash at the self pay station located at the Campground entrance. Fees must be paid daily or in advance and there is a 14 day stay limit. All permits are sold on a “first come, first served” basis, reserving sites is not permitted. Access cards are available for paid campers that will allow after hours access. Cards must be requested at the Contact Station from 7 am – 4 pm. 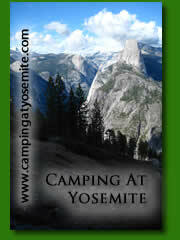 Request an access card when purchasing camp permit. All sites are developed as electric hook up sites. NO sites have been developed or designated for basic “dry camping”. Non-electrical and tent campers are welcome use these sites but the full fee will be required. A paid camping permit entitles the holder to use of the shower/restroom, water, electrical and dump station facilities. All sites have a table, hose bib and power post. Each site has a 20 amp and a 110 electrical outlet, some pull through sites have 50 amp service. Sites vary in length from 35’ in the shortest, ”back in” sites to 60’ in the pull through sites, all sites are single width. Sites have ample room on the side areas for pull out units. There are four host sites, three handicapped designated sites (one is a pull through site), twelve pull through sites and forty three other sites of varying sizes. Handicapped designated sites have paved access to the site and adjacent restroom, a paved pad and wheelchair accessible table. Waste bins and shower/restroom facilities are located on the upper west end of each Campground. Restroom buildings have bottled water vending machines and dishwashing sinks located on the rear east side. The Dump Station is located along the main road on the south end of the park adjacent to the Campground entrance. The station consists of two 110’ lanes, two sumps, waste receptacle and a non-potable water source. Lanes may be accessed from either end, in either direction. A paid Camping Permit is required to use the dump station. Please leave the area clean for the next user. Showers are located in the Campground restroom buildings at the upper west end of each Campground loop. Use of showers is included in the Camping Permit fee, there are no separate charges for their use. All showers are handicapped accessible. Flush toilets and sinks with handicapped accessibility are also located in the restroom building. Two showers are located in each of the Men’s and Woman’s restrooms, a single shower is located in the Family restroom. Covered picnic tables are located around the perimeter of the Main Parking Lot and adjacent to the food concession area outside of the Discovery Center. Seven single table sites are located on pads under a shaded ramada with a water source on the west and south end of the main parking lot. Two handicapped accessible sites are located in the center of the sites on the west side of the lot, they have a wheelchair accessible table and adjacent parking. All perimeter tables are accessible by a developed sidewalk and pad. Three uncovered tables on pads are located in the southeast section of the Main Parking Lot, only one table is accessible with a paved sidewalk. Hikers should ensure that they wear comfortable clothing, durable shoes and have plenty of water when hiking, especially in summer months. Hats, sunscreen and regular consumption of water will help prevent exhaustion and heat related injuries. Hikers should stay on developed trails to prevent erosion, damage to vegetation and personal injury. Please report any problems along the trail or trail damage to the staff at the Front Desk. The Guindani Trail (#398), located on the east flank of the Whetstone Mountains in the Coronado National Forest, is 4.2 miles in length (first mile is an easy walk, next 2/3 of trail is moderate difficulty, and the last leg is strenuous). This is a shared-use, non-motorized trail that is well-marked with directional signs. Trail elevations range from 4750’ at the park trailhead to over 5620’ at the highest point along the Guindani Trail. The summits along the crest of the Whetstone Mountains are over 7000’ in elevation. Vegetation is mesquite-invaded Chihuahaun semi-desert grassland at the lower elevations and open oak-juniper woodland on the higher slopes. Access to the Guindani Trail is located on the west side of Kartchner Caverns State Park campgrounds; a kiosk marks entrance to trail. For more information, contact: Sierra Vista Ranger District, 5990 W. Hwy 92, Hereford, AZ 85615 or call (520) 378-0311. The Foothills Loop Trail (loop) is approximately 2.5 miles, rated moderate to difficult. There are two access points, one at the northeast end of the Discovery Center parking area and one at the Hummingbird Garden. This is a hiking trail, with no bicycles or motorized vehicles permitted. The trail climbs the limestone hill north of the cave and descends into the wash that follows the fault between the Whetstone Block and the San Pedro Block. A short spur trail at the upper portion of the Foothills Loop Trail leads visitors to the scenic Mountain Viewpoint. Informational signs along the Foothills Loop Trail will discuss such trail highlights as the foothills, scenic view, riparian area, bedrock mortar and the Native Americans that inhabited the area. Some of the vegetation seen on the Foothills Loop Trail hike include: Ocotillo, Creosote Bush, Mesquite, Desert Broom, Acacia, Wait-a-Minute Bush, Scrub Oak, Barrel Cactus, Prickly Pear, Buckhorn Cholla, and Hackberry. The Hummingbird Garden Walk is located on the southwest side of the Discovery Center. The walk is lined with a variety of local vegetation. Some of the varieties include: Catclaw Acacia, Velvet Honeysuckle, Beargrass, Yellow Bells, Black Spine Prickle Pear, Autumn Sage, Agave, Desert Bird of Paradise, Desert Spoon, Fairy Duster, Chaparosa and Hesperaloe. Pets are allowed in all outside areas but they should be leashed. Pets are not allowed inside any of the buildings or on cave tours except for certified service animals. Pets should not be left unattended in vehicles in the parking lot or left unattended outdoors. Ensure that pets have access to a water source. Pets should be restricted to trails and developed areas due to potentially harmful desert plants and cactus. Wildlife and other pets may pose a danger to unrestrained pets due to potential conflicts or predatory behavior that could be harmful. A variety of species common to the Arizonan deserts may be found around the park. Please remember that wildlife should be given a practical amount of respect and distance for their and our own health and safety. It is important that we don’t interfere in their lives as we enter their habitat and do not give them the opportunity to interfere in ours when we introduce exotic food sources or shelter that may attract them. Birds: A 63-entry birding list is available upon request at the Front desk of the Discovery Center. The close proximity of the canyons and arroyos of the Whetstone Mountains, Sonoran and Chihuahuan Desert terrain and the riparian areas of the San Pedro River creates an unique opportunity to see species found in each of these habitats. One of the most common birds seen on the park is the large, dark Raven that may present a nuisance when food is left unattended in the picnic or camping areas. Hummingbirds from around the country converge on Southeastern Arizona during their migratory travels and many may be seen year round in the Hummingbird Garden. Reptiles: Lizards are commonly seen scurrying among the rocks or up a tree trunk. Slow moving Gila Monsters, plodding tortoises and racing Coach Whips may be observed in season. You may also get to meet “Molly”, a Bull Snake, who is the star of one of our interpretive programs. Caution should be taken in warm months not to disturb the several species of rattlesnakes here. To ensure your safety: keep a respectful distance, remain on trails, avoid overgrown areas, use a light to check the warm roadways after dark and keep pets restrained. This should prevent any contact with these important but potentially dangerous desert dwellers. Insects: Many colorful butterflies and a number of intricately patterned moths may be observed during blooms in the Hummingbird Garden. Unusual Assassin Bugs climbing a Century Plant, large Horselubber Grasshoppers lumbering across the ground, and Walking Sticks blending in with the shrubbery will provide a fascinating entomological experience. Caution should be taken for scorpions. See the display in the Discovery Center about the cave dwelling insects that live in the dark environs of the cavern. Mammals: Mountain Lions range throughout the Whetstone Mountains and precautions should be taken when in camp or on the trail. Coyotes or Gray Foxes represent the canine species of the park. These animals are seldom seen but since these animal are predators, pets should not be left unattended outdoors, especially at night. Skunks, raccoons, coatimundi, and ringtail cats may present a night time nuisance if food is left unsecured in the camp areas. Jackrabbits, cottontails, squirrels, javelinas and deer may be seen wandering through the park. Of course, bats are also an important element of the cave and park habitat. Common Cave bats (Myotis velifer) exit the cave each night during summer months to feed while the maternity colony occupies the Big Room from mid April to mid October. Pallid bats often occupy overhangs on buildings and bridges, Mexican Free Tail bats chase flying insects and Long Nosed bats come to feed from the local Agave species at night. Please advise Park Staff of any unusual sightings or unusual behavior by wild animals. Please do not feed wild animals or birds on the park. Avoid leaving food unsecured or unattended outside and place all trash in the appropriate receptacles. This will prevent attracting unwanted animals and insects to your area and leave the animals in their natural state.